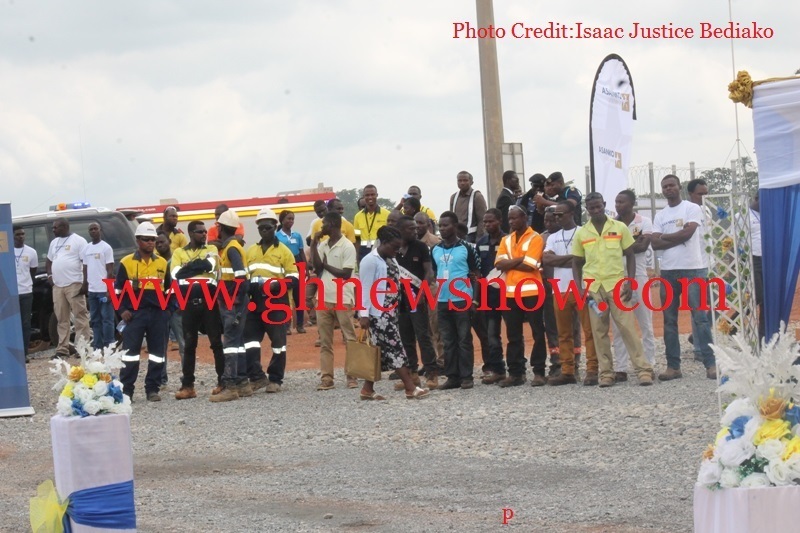 Ghana’s newest gold mine, the Asanko Gold Mine at Obotan in the Amansie West district of the Ashanti Region, has been inaugurated in a brief but colourful ceremony at Manso Nkran. This brings to fifteen the number of mining companies which have been duly licenced and are currently operating in the country. There is a manganese producing mine, bauxite producing mine and twelve gold producing mines, with Asanko Gold mine being the thirteenth gold mine. The Asanko Gold Mine, owned and operated by Asanko Gold Ghana Limited-formerly known as Keegan Resources Ghana Limited, is a proud addition to the ranks of Ghanaian gold producers. The mine, which was built within budget and commissioned a month ahead of schedule, commenced gold production in January 2016; and the first phase of the mine will produce an average of 190,000 ounces of gold a year over a twelve-year life of mine. The Asanko Gold Mine was established in 2014 after it had secured the mining concession and interest of Keegan Resources Limited. 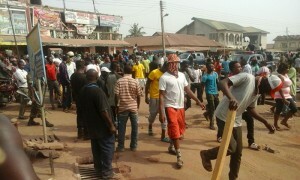 It has a concession covering an area of 637sq km and a total workforce of 1,500 — of which 44% are from the community. In the year 2015 alone, the company made a total contribution of US$202million to the Ghanaian economy through taxes, royalties, goods and services. 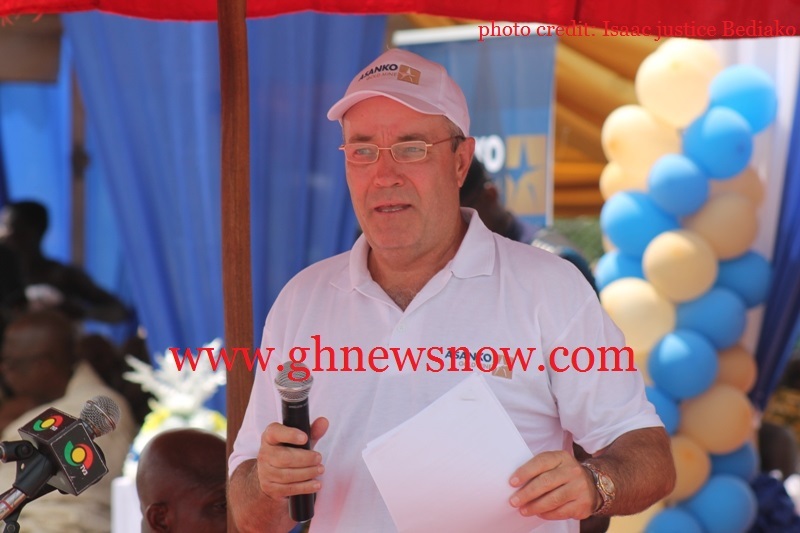 Asanko Gold Ghana Limited increased demand for local goods and services, with 233 Ghanaian businesses supported through procurement of goods and services, and US$157million spent on goods and services from suppliers. In partnership with GIZ and the Don Bosco Youth Network, Asanko has built two vocational training centres to teach the local youth. Training is provided in core practical vocations such as carpentry, masonry, catering, plumbing, metalwork and fabrication, and electrical installation among others. Successful graduates received a nationally recognised certificate and are set up with the basic ‘tools of their trade’. In 2015, 112 students successfully graduated; nine students have been employed to work on Phase-1; and one student has been employed by Asanko as a Plant Attendant. 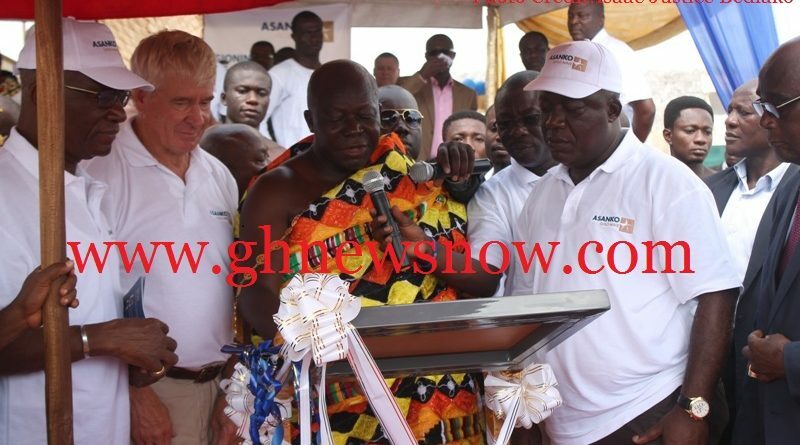 The Asantehene Otumfuo Osei Tutu II, who unveiled the plaque to officially open the mine, told officials of the company to ensure fairness in remunerating workers; they should avoid discrimination in salary payments to expatriates and Ghanaians. He said it would be unfair for foreigners with the same qualification as their Ghanaian colleagues to earn much more than their local counterparts. 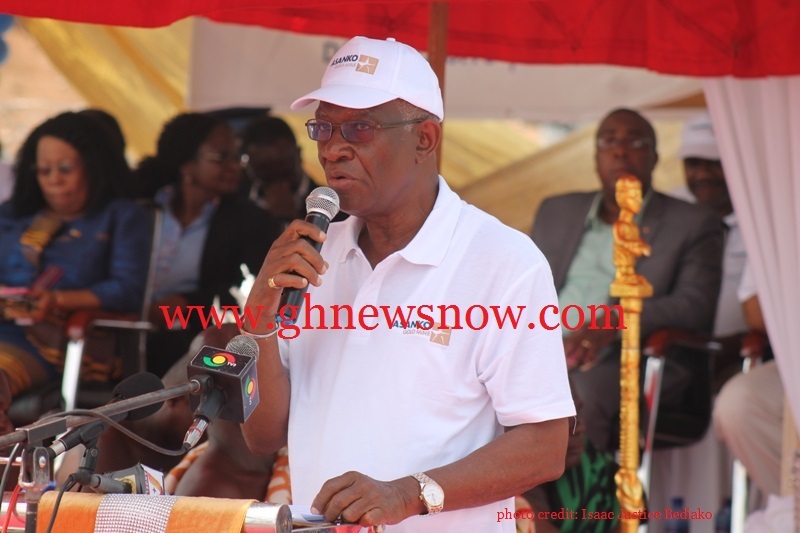 He urged the company to focus on engaging the services of local graduates — particularly from the KNUST, University of Mines-Tarkwa, as well as other mining institutions, especially to empower the youth and reduce the escalating unemployment rate that the country is currently battling with. 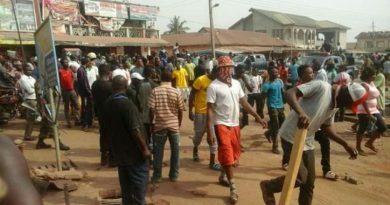 He further warned the youth and entire community not to make unnecessary demands but rather resort to very amicable dialogue in negotiating for any legitimate demands. Otumfuo chastised politicians and chiefs, warning them to desist from conniving with illegal mining that is gradually becoming a canker and depleting natural reserves. 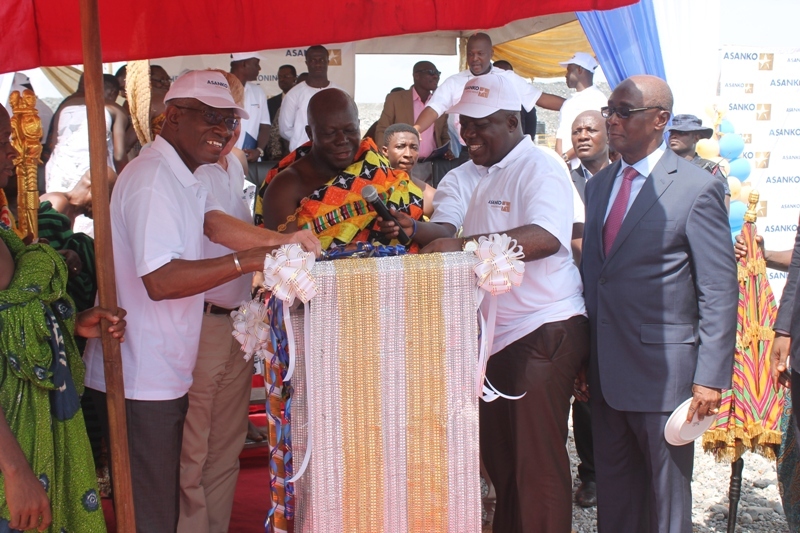 The Minister of Lands and Natural Resources, Nii Osah Mills, commended Asanko for its excellent project delivery and the shared-value approach the company has employed in ensuring that all stakeholders benefit from the asset. 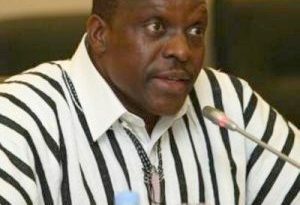 He stated it is government’s expectation that other investors will take a cue from Asanko’s example, given the limitless opportunities available in Ghana. He has also emphasised that government on its part will continue to work with such investors by providing the needed support and assistance, while facilitating strong linkages with local industries and the economy. Mr. Peter Breese – President and CEO of Asanko Gold Inc. – in his address congratulated the Asanko Project Team as well as all employees, contractors and sub-contractors for achieving this historic milestone. 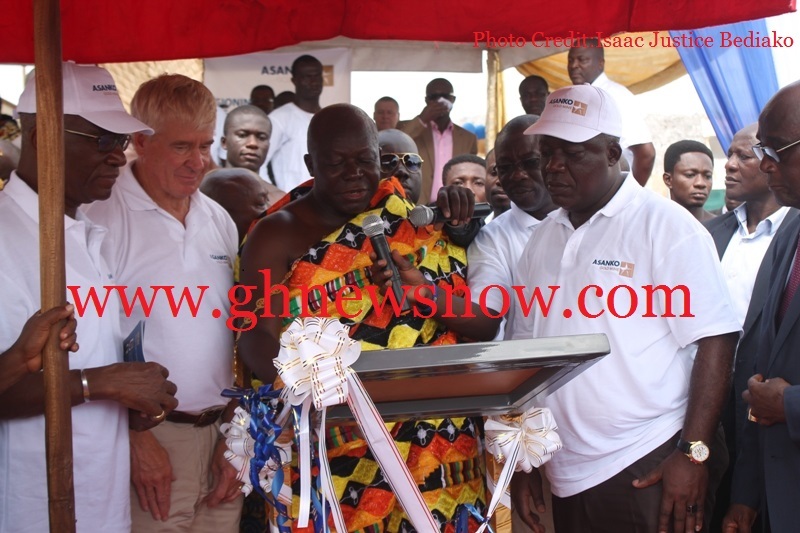 He further thanked Otumfuo Osei Tutu II, the government of Ghana, as well as regulatory bodies that assisted the company, Chiefs and Queen Mothers from the Amansie West district, and local communities for their solid support.